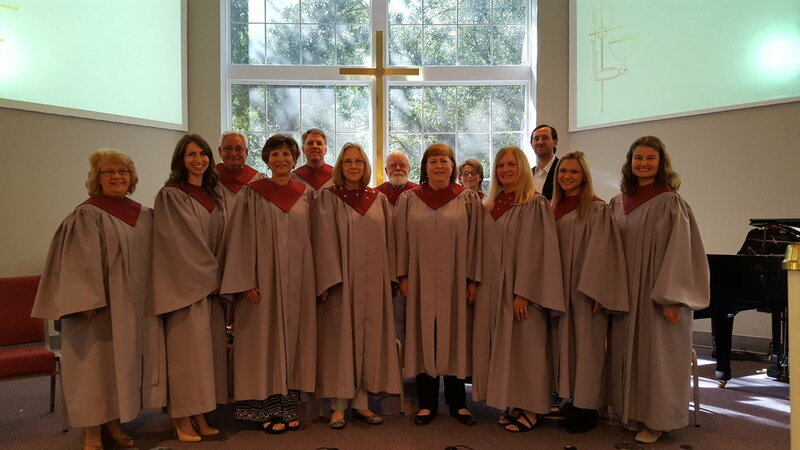 The Chancel Choir leads the traditional worship service. Members meet Wednesday evenings at 7:30pm, and the group is open to anyone who would like to lend a joyful noise. The Praise Band leads the contemporary worship service. Members meet on Thursday evenings, and anyone who is interested in contributing to this ministry should contact Michael and Shannon Flynn. The Parish Ringers give seasonal performances during the traditional worship service and at various church events throughout the year. The group is comprised of volunteers, and practices are held Wednesday evenings at 6:30pm. Experience with hand bells is not required to participate.